Starting in 2005, Grady Sizemore was one of the most exciting young players in baseball and looked like a future MVP. A legit 30-30 guy, Sizemore posted a 5.8 WAR in 2005, 8.0 in 2006, 6.2 in 2007 and 7.4 in 2008. In 2009, injuries started derailing his career. He made it to the plate just 140 time in 2010 and, with one DL trip in the books, ZiPS projects 378 plate appearances for 2011. And he wasted 4 of them on Sunday. 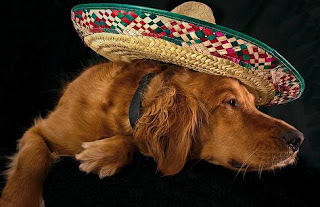 But I feel bad for Grady so here's a sad dog wearing a sombrero. Top 2nd: Sizemore struck out swinging against Jeremy Hellickson. To be fair, Hellickson had some pretty good stuff. Top 4th: Sizemore struck out swinging against Hellickson again. Top 7th: Sizemore struck out swinging against Hellickson. 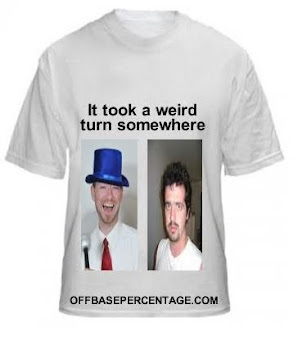 Sizemore struck out 3 times, the same way against the same pitcher which is an MTD Hat Trick. Why isn't this catching on yet? Somebody get Baseball Tonight on the phone. Top 9th: Sizemore struck out looking against Cesar Ramos. Sizemore watched 3 straight pitches to end the game.